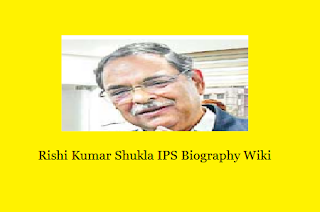 Rishi Kumar Shukla IPS Biography Wiki Career Family Born Place: Rishi Kumar Shukla IPS is appointed newly as CBI Director by the central government of India.Read here his Biography Wiki.Know briefly about his career,family and his born place. Rishi kumar shukla IPS belongs to 1983 ips batch madhya pradesh cadre. His born place is Gwalior city in Madhya Pradesh. DEPARTMENT OF PERSONNEL & TRAINING of home ministry released the orders related to appointment of Rishi Kumar Shukla as new CBI director were released on Saturday evening 2/2/2019. Appointment Committe Of The Cabinet ACC implemented the orders and appointed Mr.Shukla as the CBI new director. Rishi Kumar Shukla took the orders and was appointed in the place of Alok Verma who went on transfer after a lot of controversies. Mr.Shukla will continue in this post for about 2 years. He was born on 31st July 1957.His age is about 62 years. He completed his post graduation in philosophy. Before being appointed as the CBI director Shukla was in the rank of DG Director General of Madhya Pradesh police department. He is also acting as chairman of Madhya Pradesh police housing corporation.This is located in Bhopal. M.Nageshwar Rao was in the seat prior to him. Rishi Kumar shukla was selected from the list of 80 members of IPS officers. He was selected by the committe in which there is prime minister chief justice of supreme court and also loksabha opponent leader. From 80 members of IPS officers who belong to the cadres of 1983,84,85 the committe members selected firstly 30 members and from 30 members the committe atlast selected shukla as the final name.